A Pisces woman is the epitome of feminine grace. She is a lady on the outside, which means you will rarely see her dress up in manly overcoats or even simple tee-shirts and a lady at heart too. She is excessively emotional and unpractical. However, do not let her feminine charm get the better of you because she is manipulative like no other. She is fun and interesting to be around because she gives you the impression that she is interested in what you have to say and do. She is also very malleable, which means that if you say you want to eat Chinese today, she won’t express her opinion which may state that she would rather have Italian. She will compromise more than most other signs in the zodiac. 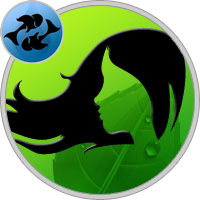 This nature of a Pisces woman holds the key to the Virgo man and Pisces woman relationship. If the two individuals find interest within each other’s lives, it will primarily be due to the Pisces woman’s “eager to know all” nature. A Virgo man will open up to her without inhibitions because he will feel relaxed and comfortable around her. He won’t question her actions but will flow with them, eventually giving her control over his life. However, a Virgo man will soon realize what has happened and will try and fight back to gain control. This rash act may get him negative points because by the time he takes action, he will not be in a position to gain the upper hand. While there may be plenty of love in this relationship to keep it going, there isn’t much practicality here. Though the Virgo man is full upto the brim with realistic views, his counterpart - the Pisces woman will be less than a handful. Her heart will overflow with emotion and will spray gooey mushy love all over his realism. This will definitely not go down well with him and will become a sore bone of contention between the two individuals. The Virgo man will find a pleasant mate in a Pisces woman despite these shortcomings. He selfish, critical exterior will open up to gentle, charismatic behavior when in the presence of a Pisces woman and he will go beyond his way to impress her completely. She will fall for his attitude and personality and will ensure that she lets him dangle a little before accepting his proposal for a date or even marriage. Though she may seem aloof when topics of dating and marriage may surface, make no mistake in judging that feeling because she is waiting for you to pop the question. Her calm demeanor may fool you, but be wise and follow your heart once. She will welcome you with open arms and will keep you despite all your flaws. When a Virgo man knows this, he may take undue advantage of that but if he makes it work for himself, this quality of a Pisces woman will most definitely be the reason for their survival together.